Almost everyone who wish to start a blog will have a confusion in choosing their platform for blogging. I too had a big confusion in choosing my platform. My first blog was started on a blogger platform and later on i shifted to a Self Hosted WordPress Blog. If you have gone through other blogs then you might have seen similar situation like this. Almost all the bloggers started on blogger and shifted to WordPress later. I really like Bloggers more than WordPress. Personally I felt it difficult to settle on WordPress, it was quit comfortable with Blogger. I shifted to a Self hosted WordPress for having more control over my blog. Blogger is free and has many problems, you won’t be having full control over your blog and you would lag in many features that you could get using a Self Hosted WordPress. I prefer to start a Blog with self hosted WordPress. This could help you to reduce the problems that you would have to face while shifting from blogger to WordPress. Let’s get started. Why a Self Hosted WordPress Blog? Self Hosted WordPress is one of the best choice for starting a Blog. When it comes to the case of a self hosted WordPress you a have the complete access and you could customize it completely and this is one of it main merit. I shifted to self hosted WordPress because, it is more customizable and I could have more control over my blog. This is very important when it comes to a blog. I started my first blog on a blogger platform and later on i shifted to a WordPress. Starting a blog on a WordPress is better than shifting it later. Stack Bloggers is started on WordPress and it does had to spent some money from my side. Still its always good to start and to stay on a single platform. Lets take a look at the lowest rates for starting a blog on a self hosted platform(WordPress). How to create a self hosted WordPress Blog? Creating a Self Hosted WordPress Blog is really simple as it seems to be. First step in starting a Self Hosted WordPress Blog is the domain. You need an attractive and meaning full domain that will remain in the visitors mind. The domain should suit your niche (Topic of your website). I would provide you some of the best Deals for buying domains. Check them out today and start building your blog today itself. Domain For Just 57 Rupees (0.88$) Special offer, Grab it now. The next thing is a Hosting. Yes, you need to get a hosting from any providers and I prefer Namecheap for that as they provides the best offers for beginners. So let take a look at the expenditures and the best plan that could suit your needs. Hosting For Just 643 Rupees (9.88$) Special offer for Beginners. 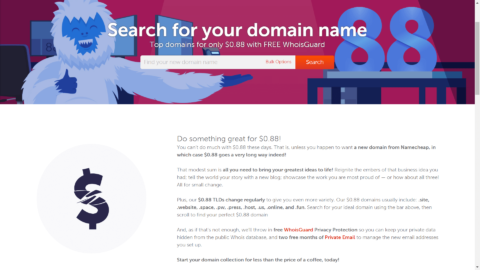 Shared web hosting plans with free .website domain & WhoisGuard and 50 Positive SSL certificates. Get it now. 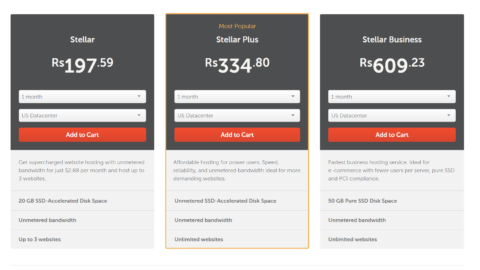 You could always upgrade your hosting package just in few clicks. So don’t worry about the future, you could upgrade when the traffic starts to grow. Don’t waste your time and start blogging today. I am excited to read your amazing articles. Let’s find your minimum total cost that you would need to spent when starting your first blog on a Self Hosted WordPress Blog. Grand total (Assumption) for both Domain and Hosting : 643 + 57= 700 rupees (10.75$). 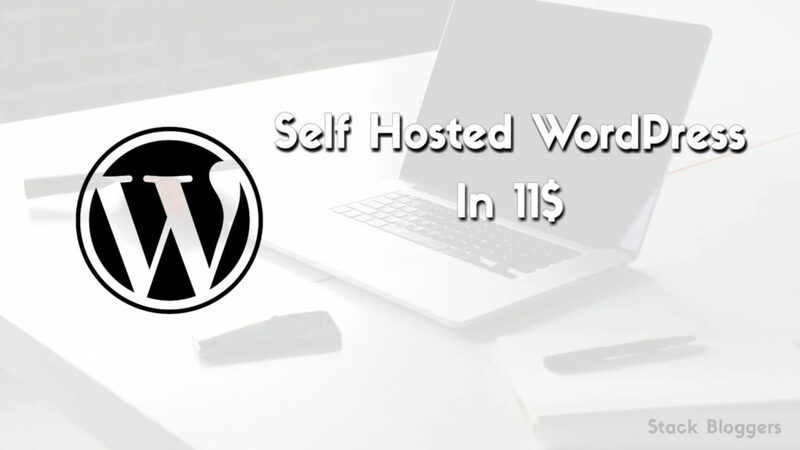 So you could start a Self Hosted WordPress Blog just by spending just 700 rupees (10.75$). Blogging have become easy, there are plenty of Blogging Tools that could help your Work Easy. So don’t waste your time thinking much, small investments are needed to start a business and blogging is not more than a business. Very powerful words that u have used to described the whole article.